Food containing hemp may soon become part of the Australian diet with regulators expected to approve the plant for human consumption in April 2017. Legislation changes are due to go before the Australia and New Zealand Ministerial Forum on Food Regulation at its meeting scheduled for April 2017. 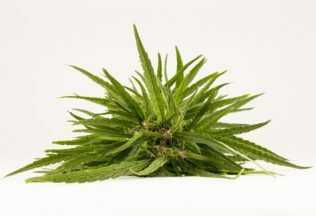 Australia’s largest grower of hemp, Hemp Foods Australia, believes the decision to approve hemp as a legal food substance is significant for the economy, environment and for the health of Australians. “Food Standards Australia and New Zealand has recommended that low THC (tetrahydrocannabinol – the pyscho-active ingredient in marijuana) hemp be approved as a food in Australia,” said Hemp Foods Australia founder Paul Benhaim. “We have to remember that hemp is not marijuana and contains no or very low levels of THC, the drug component of marijuana,” Benhaim said. Australian farmer, Harry Youngman, said many areas of Australia are perfect for growing hemp. “We’re really hoping for approval to allow hemp as a food so that Aussie farmers can build their businesses and capitalise on the pent up demand,” he said. Hemp can be used as a form of flour, oil and protein powder and is described as rich in omegas, amino acids, vitamins and minerals.